Acute Care Surgery and Trauma: Evidence-Based Practice discusses important surgical management approaches and clinical decision making based on scientific evidence found in the published literature. The first edition of this book represented a breakthrough in the discipline by establishing evidence-based guidelines for practitioners. 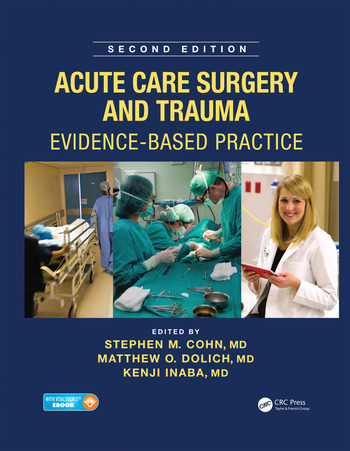 Now updated and fully revised, this new edition continues to support clinicians by providing the most up-to-date information and evidence on which to base their decisions across all aspects of acute surgery and trauma, thus optimizing decision making for the care of individual patients. 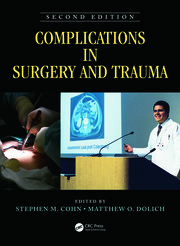 The book features chapters written by specialists in acute care, trauma, and emergency surgery, with extensive references throughout. It also includes useful tables summarizing key evidence and clinical recommendations for quick reference and easy interpretation. A unique feature of this edition is the inclusion of expert commentary to accompany each specialist chapter, including clinical pearls from senior surgeons in the field, making this an invaluable resource for all acute care and trauma practitioners. "… should be in the library of every medical school, every department of surgery, and every surgeon."